It’s an insidious game. One would think that the victim would just leave. But she is a player in the game too. I have a family member who works in law enforcement and he tells me that responding to domestic violence calls are typically the most dangerous for them. Why? Because not only do you have the violent partner to contend with, but often the “victim” will also turn on them. That is why it’s important to not just leave, but to Break the Cycle. Yes, it is. 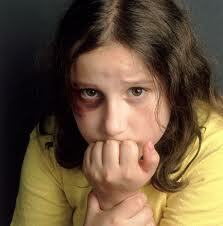 Domestic violence is an issue most don’t like to discuss – would rather act as if it doesn’t exist.